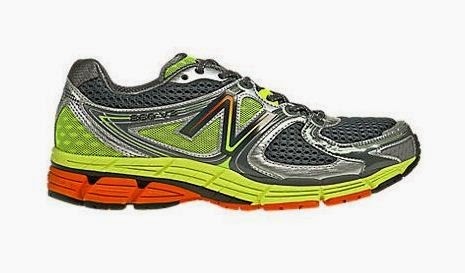 Like most runners, I struggled at first to find "the right" pair of shoes for running. After being injured early on, a couple of doctors visits and going through PT, I needed to find something. I went to a local running store near work (PR Running) and had a gait analysis done and tried a couple different pairs. I finally settled on New Balance 940 for the needed stability. These have been my "go to" shoes for the past couple years. This model was discontinued a couple months back. I was able to find my last two purchases online, but with my timeline of shoes I knew that by the time Boston rolled around I would be in need a new pair. Here's the dilemma... I can't find my size (10.5D) anywhere. I have been looking for weeks with no luck. With Boston being about a month away. I needed to find something fast. New Balance came out with version 2 of the 940 so I ordered them through Amazon this week. I have to say that I was not crazy about them. I did not run with them, but just the feel of them did not seem right. They felt cheaper and for being the same size, they were tighter. So I sent them back and ordered a half size bigger. They have a treadmill where I tried both of them and they both felt great. 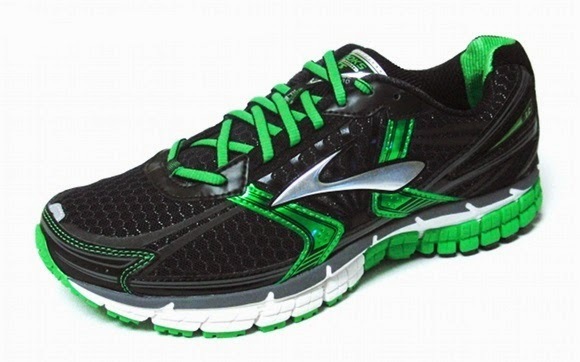 I ended up purchasing the Brooks because they felt good but I toyed with the idea of buying both of them. But at over $200 - NO WAY. But when I left PR Running I strolled over to Marshalls and there I found the New Balance 860v3 but in a different color for $40!! For $40, hell yeah, I was buying them!!! So this week I did something I haven't done in over 2 years. Run in a different pair of running shoes. I tried them all this week in different runs. Then decided to run in one of them on my 20 miler this weekend. 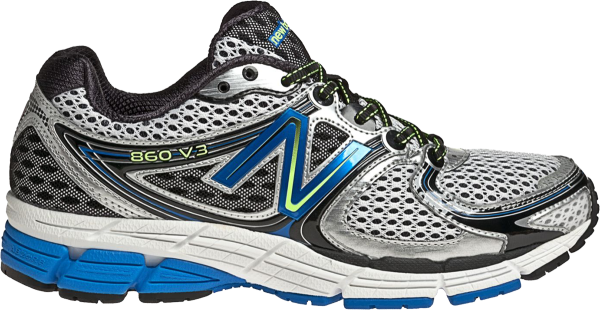 The New Balance 860v3 felt like the right choice and even though I was nervous about it, I went for it. A month before Boston sounds crazy, but what choice did I have? The 20 miler was a real hilly, really hilly course, but I felt real comfortable in these shoes all the way through. So much so, that I think these will be my Boston "go to" shoes. I'll know better in a week or so after really trying out the others. So there was my dilemma. I'm sure many of you out there have gone through similar stories and I'm interested in what you guys did. Do you think this is a smart move being so close to Boston? I've literally changed shoes week of the race before - which I wouldn't recommend. I think you'll be fine. Those should be similar to what you were wearing, but I understand the apprehension. On a side note, I wore those exact Brooks most of 2011 and never PR'd or had great races - they were really comfortable, but maybe they're bad luck, ha! I think you will have plenty of mileage in the shoes prior to Boston, so I would not worry. I hate when the shoe companies change a perfectly good pair of shoes. 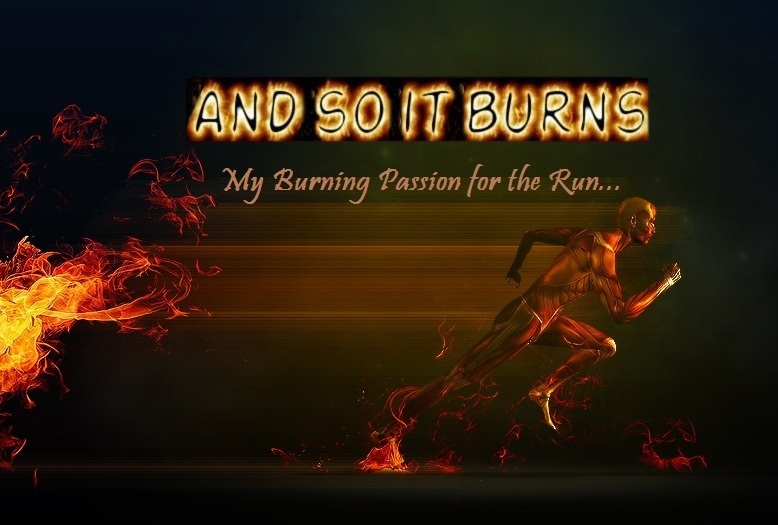 It just makes life hard for us runners.